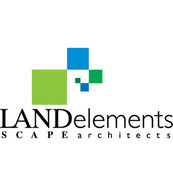 From neighborhoods to downtown streets and bike lanes, we can help design beautiful, walkable, city spaces. 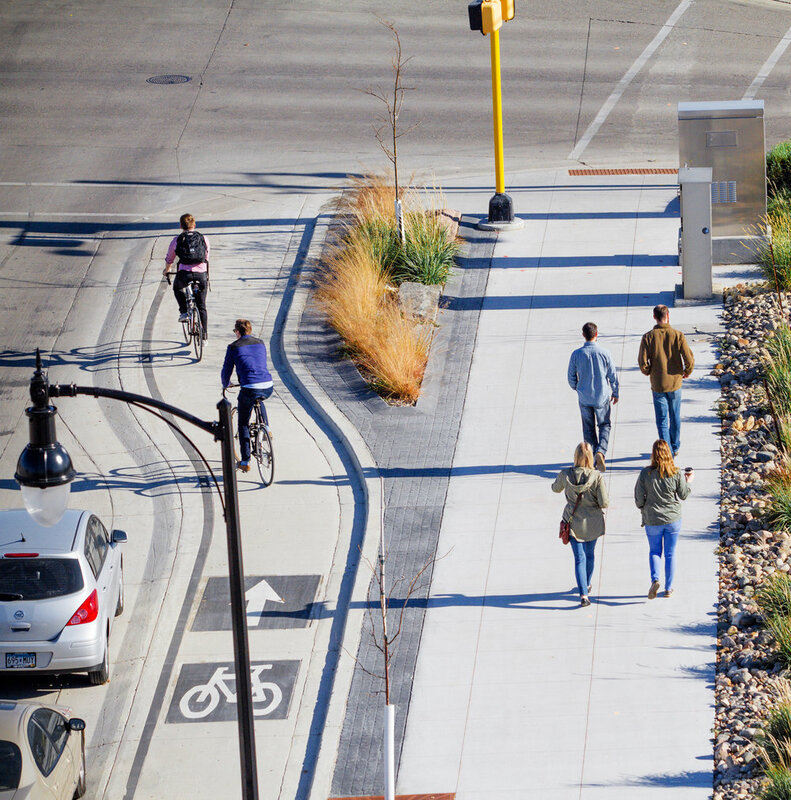 The Streetscape design for Northern Pacific (NP) Avenue in Fargo, ND culminated from the results of a larger corridor study for NP Avenue and 1st Ave in downtown Fargo calling for the conversion of a one-way pair of streets to right-sized two-way streets. 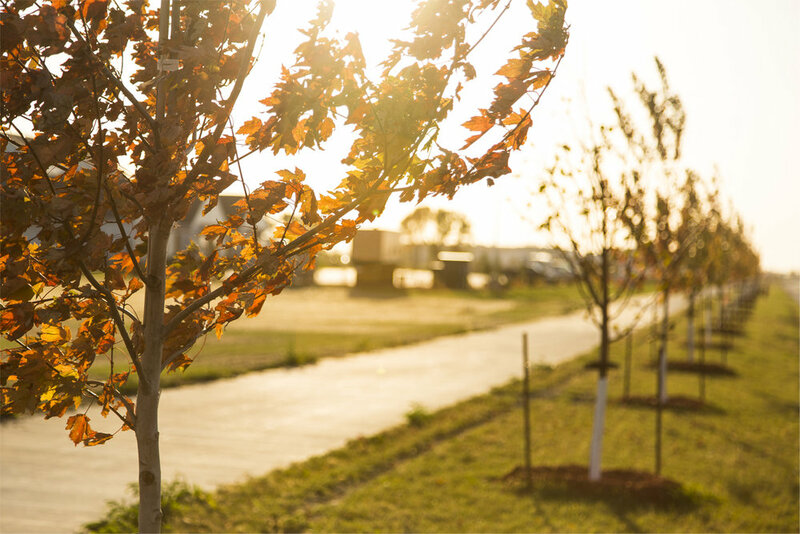 Our landscape architecture team collaborated with the City of Fargo’s engineering department from conceptual design through construction to develop Fargo’s first complete street including the city’s first elevated, protected bike lane. The design for the converted one-ways thoughtfully links the streets railroad history by reclaiming granite curbstones, and using a gray Milbank granite and iron palette for materials and striping. The design creatively accommodates safe travel for bicyclists along an elevated and protected lane, pedestrians via curb extensions and drivers with improved striping and turning movements downtown. 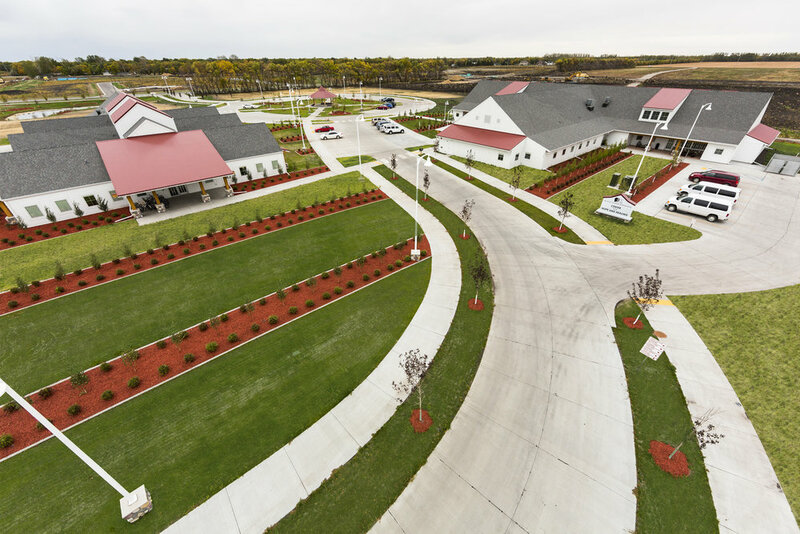 The streets and roundabout at the Boys and Girls Ranch in Fargo were designed for both pedestrians walking on the sidewalk, and the flow of traffic entering the residence.